and reliable lightening with up to 7 levels of lift on colored and natural hair. • contains extract of chamomile, especially gentle on the hair and scalp (white). 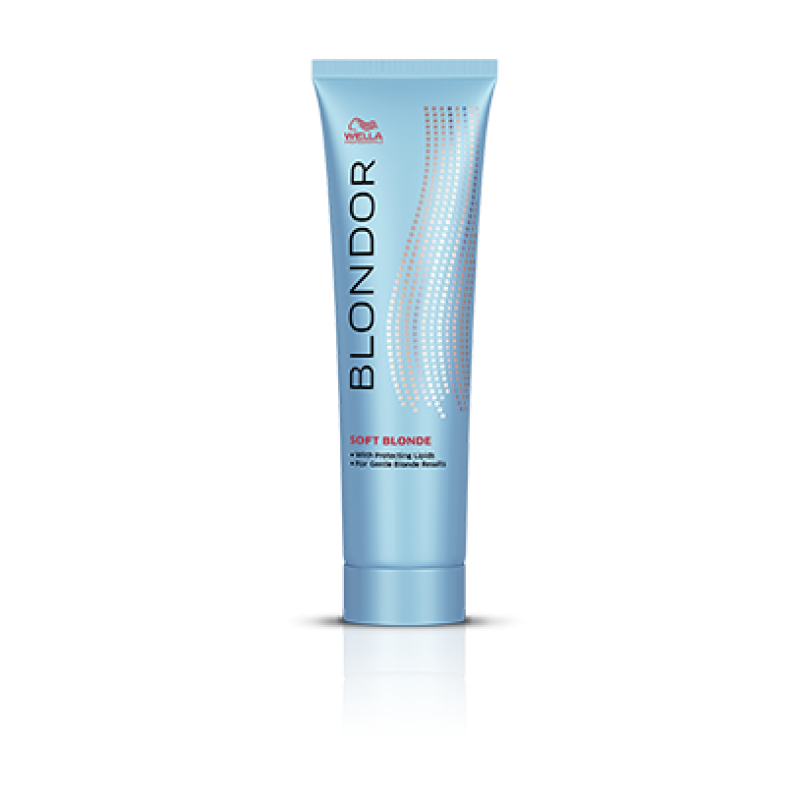 • apply product to dry hair, which has not been pre-shampooed. • using gentle heat such as climazon will reduce the development time. • Product development is visual and dependent on depth of color and porosity of the hair. • once the lightening result is achieved, rinse out the Blondor with warm water and shampoo, and apply Wella Professionals care products.